Here at Drawing Closer Counseling and Wellness, I want to help support your health and increase vitality and quality of life through movement. Have you ever thought of partner dancing as part of your wellness journey? I consider partner dancing to be a creative, fun, and fruitful way to support wellness. Dancing engages and challenges the brain and body in unique ways creating growth, flexibility, and strength. 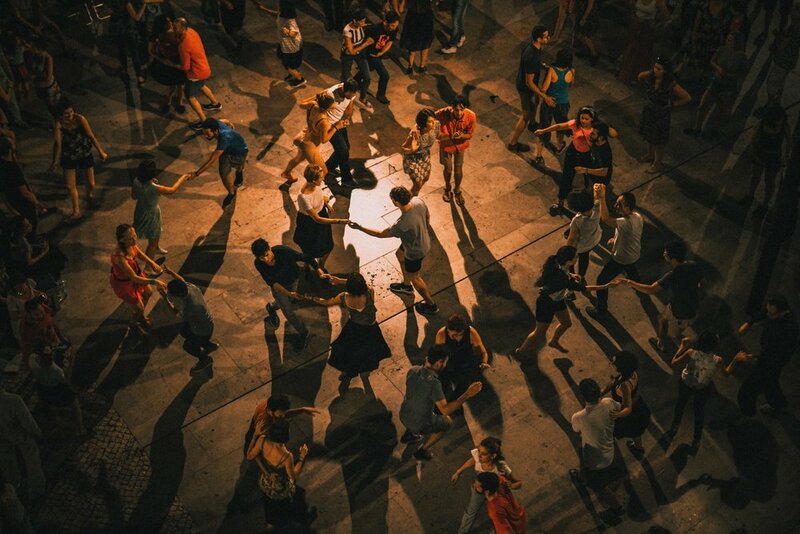 Dancing with others encourages social interaction, safe contact, and joyful re-connection with your body. It is also a great way to enjoy physical activity as part of any exercise plan! My goal is to collaborate with you and share the love of dance and movement together. Learn ballroom dance styles or latin rhythms through group classes or privately. Some popular styles are Waltz, Foxtrot, Tango, and Salsa, Merengue or Bachata. Enjoy meeting new people, dancing with a group of friends, learning your first dance or wedding party dance, or coordinating a private event! Would you and your partner like to increase communication, safe contact, connection, and attunement while learning a fun dance style? Then this is just for you! This private lesson is specially designed to help you and your partner work on identifying and communicating personal needs as they “show up” on the dance floor, increase a sense of connection and attunement, and practice safety and trust through the roles of lead and follow. The session consists of a check-in/warm up, teaching of dance style, cool down, and reflection time. Explore the best option for you! Schedule a free consultation, or subscribe to learn more about upcoming workshops, groups, and discounts. "I was a little intimidated going into a group dance class with no experience, but Lisaura made it a blast. I left feeling like I knew the basics of swing." -Will B. "Always a good way to break the ice, thanks so much!" -M.P. "Very helpful and makes it intuitive for everyone! Such a great time and excellent instructor!" -J.C.